Nylon mop for superior floor finish application. 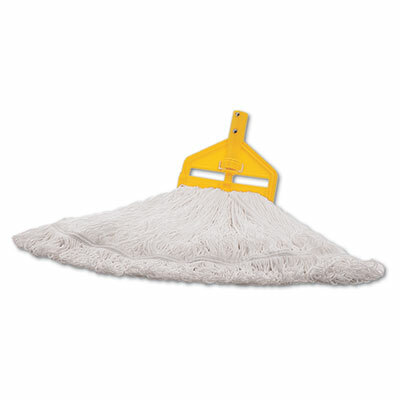 Applies finish to 30% more floor area per hour than other mop heads. Non-linting, continuous filament yarn leaves an even, glossy, long-lasting finish every time. Looped-ends hold finish and releases it evenly. Applies finish to 30% more floor area per hour than other mop heads. Nonlinting, continuous filament yarn leaves an even, glossy, long-lasting finish every time. Looped-ends hold finish and releases it evenly. Tailband reduces tangling. Click here to see more Finish Mops & Applicators!